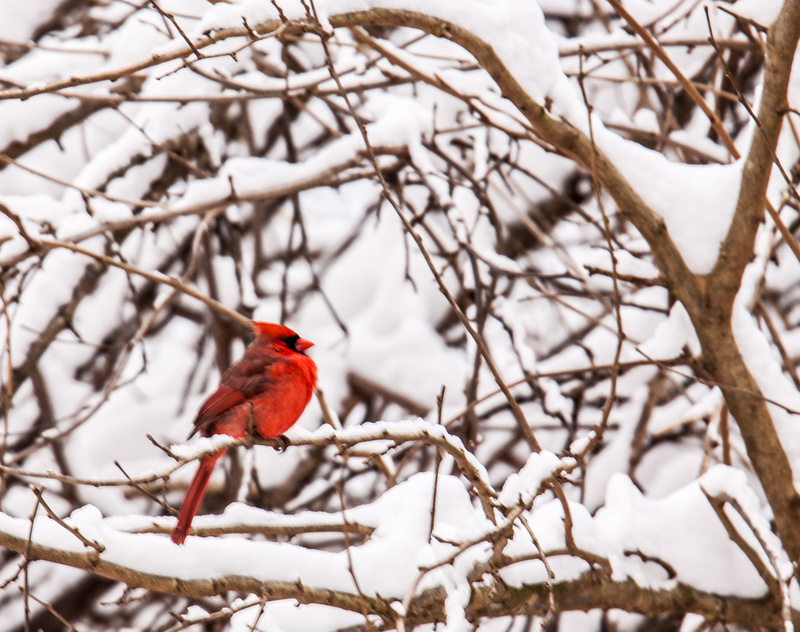 Images of a bright red cardinal in the brilliant white snow—some might view such shots as a bit cliché, but I view them instead as iconic. 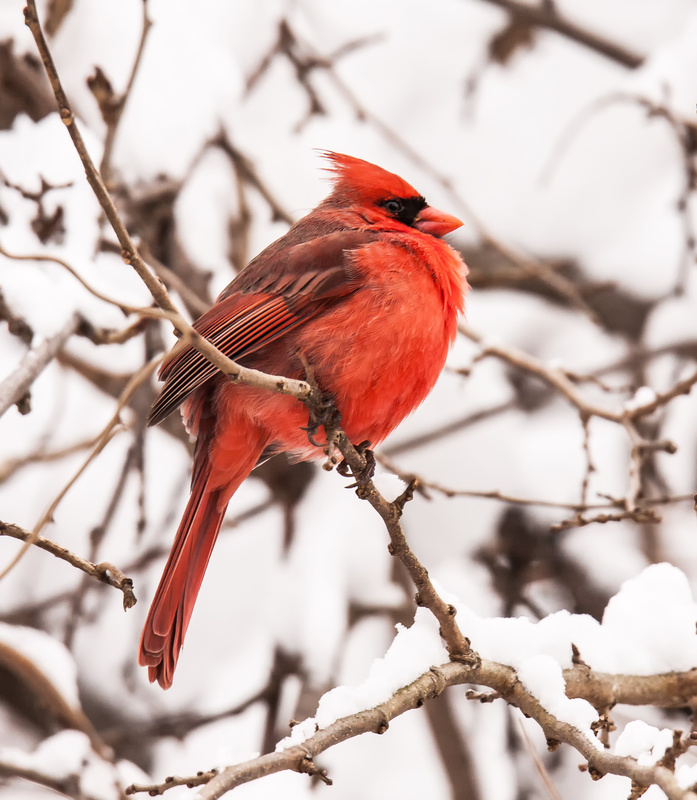 I ventured out into my neighborhood earlier this week after the snow had stopped falling and was thrilled to find a small group of Northern Cardinals (Cardinalis cardinalis). They spent most of their time buried in the branches, but eventually I was able to capture some unobstructed images of some male cardinals. Although I like the details of the second shot, the first shot really draws me in by presenting a better depiction of the snowy environment. In some parts of the country this is a typical winter scene, but here in Northern Virginia, this is the biggest snow storm we have had since 2016, so it was pretty unusual to have this kind of photo opportunity. Recently I served as the assistant for a fellow photographer Cindy Dyer as she shot some portraits in her studio. I had never before participated in that kind of a venture and I was a little shocked by the amount of coaching that the subject needed to ensure a proper head position, body position, and expression. Apparently most of us do not know how to act “naturally” in a way that will yield a goof portrait. Fortunately many birds do not require these instructions. On Monday of this week, this Cedar Waxwing (Bombycilla cedrorum) took a break from its foraging and seemed to be posing for me. The bird decided that a profile shot would be good to show of its distinctive eye mask and that any hint of a double chin could be eliminated by slightly elongating its neck. 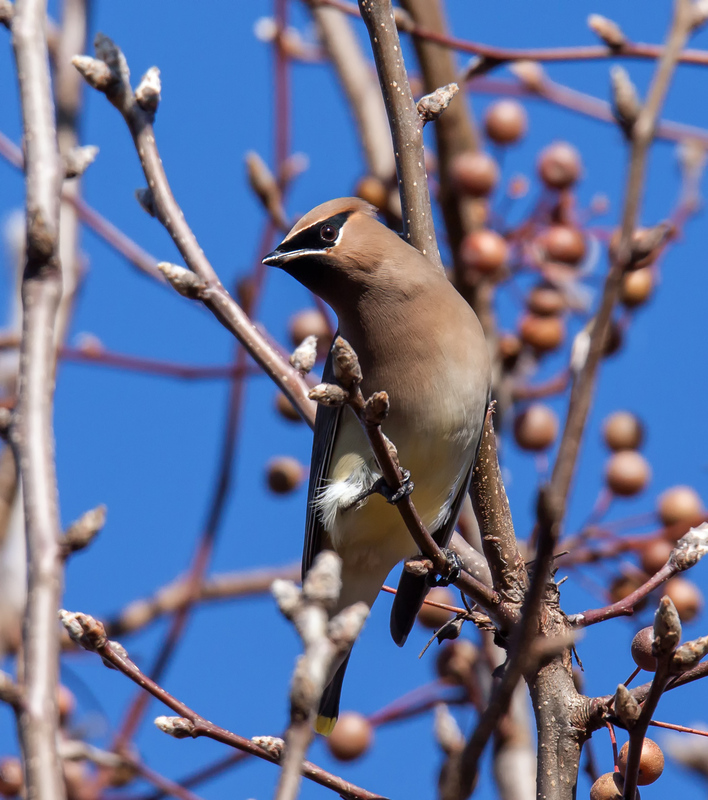 Although the Cedar Waxwing tried to maintain a serious expression, I think I detect the beginning of a tiny smile. Despite his diminutive size, this male Golden-crowned Kinglet (Regulus satrapa) seemed to have plenty of attitude when I spotted him on Monday at Occoquan Bay National Wildlife Refuge. 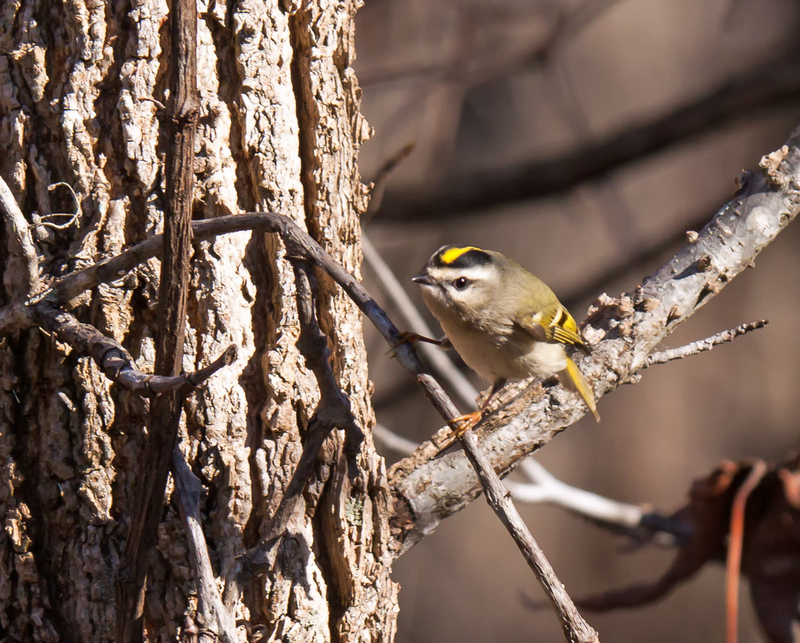 Size is relative, of course, but by almost any standard Golden-crowned Kinglets are tiny. 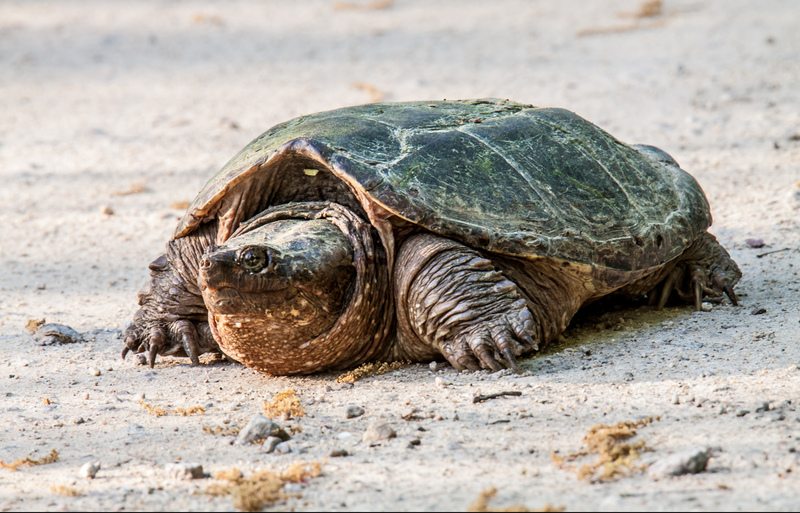 The are about 3-4 inches (8 to 10 cm) in length and weigh only 0.1 to 0.3 ounces (4 to 8 gm). Their small size and hyperactivity make them a fun challenge to photograph. I particularly like this bird’s combative stance and the way that it provides us with such a good view of its bright yellow “crown.” It is one of the rare occasions when I got an unobstructed shot of a kinglet—normally there are branches blocking at least part of the view. I tend to be more of a dog person than a cat person. 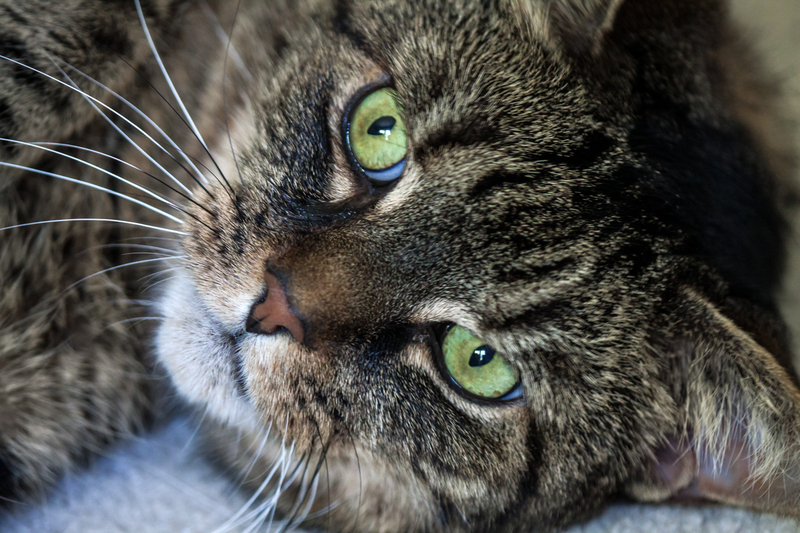 Cats have always been somewhat mysterious creatures to me, a bit wild and uncontrollable. Nonetheless, I am usually the go-to person to watch her three cats when my neighbor and fellow photographer Cindy Dyer goes out of town. 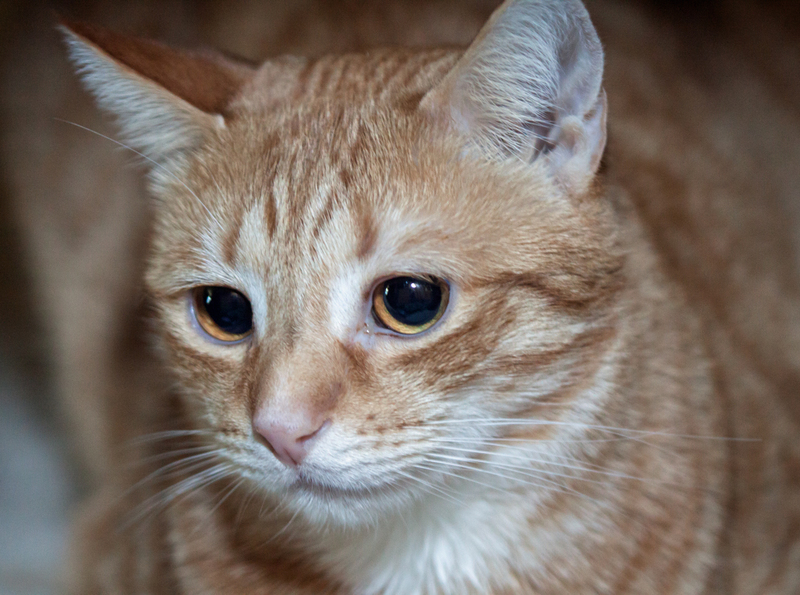 This past weekend I watched and fed the three male cats and, as is usually the case, I attempted to take some photos of them. Cindy often manages to capture them in wonderful candid moments, but it was hard for me to get them to cooperate. I am not used to shooting indoors with limited light, so that was an additional challenge. 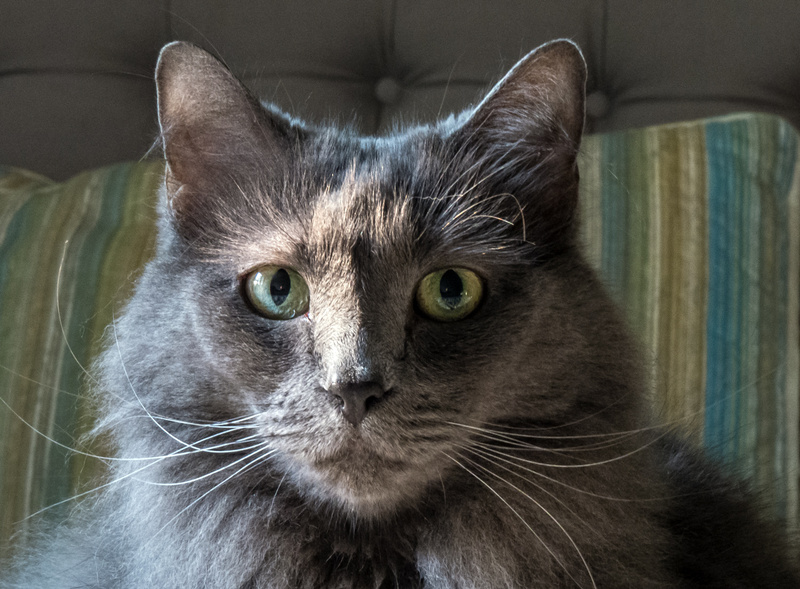 I learned pretty quickly that the 180mm macro lens that I happened to have on my camera is not optimal for this task—it was tough to get far enough away to capture the cats’ major facial features. Eventually I was able to capture a portrait of each of them. Queso, the orange cat who was rescued in the bushes outside of a Mexican restaurant, is the youngest one; Pixel is the one with the pixelated hair who loves to roll over to have his tummy scratched; and Lobo, the gray lone wolf of the pack, fixed me with a fierce stare when he finally let me take his picture. 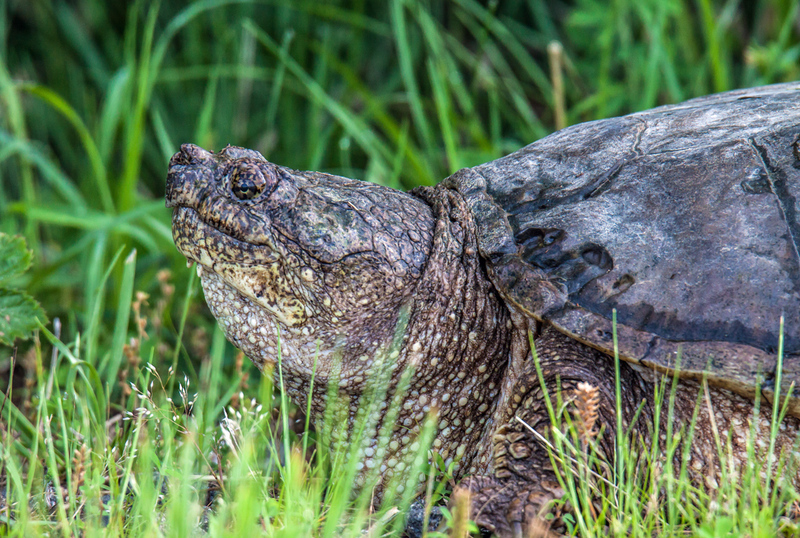 I should be back to my more typical wildlife shots tomorrow in case any of you were concerned that I had abandoned my butterflies and dragonflies. I enjoy the challenge of a different set of subjects and I must admit that it was nice to shoot in the coolness of the air-conditioned indoors rather than in the hot, humid summer weather we have been experiencing. 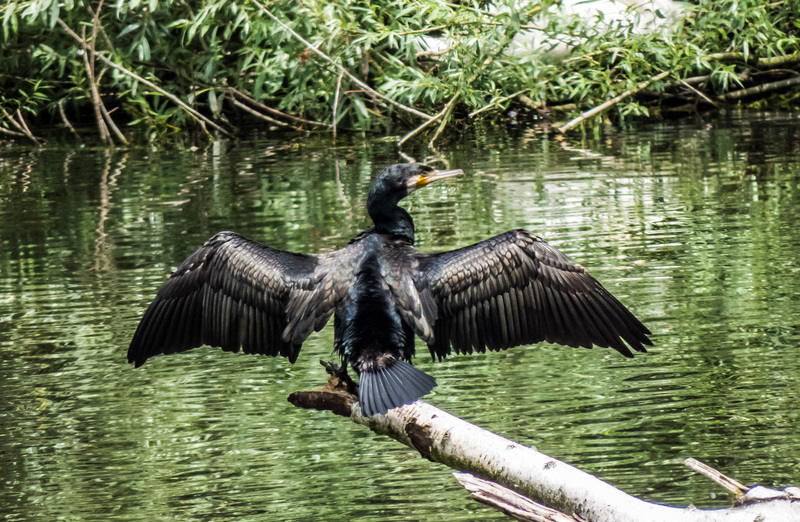 When this bird spread its wings and left them open last week at a small pond in Brussels, I instantly knew it was a cormorant. 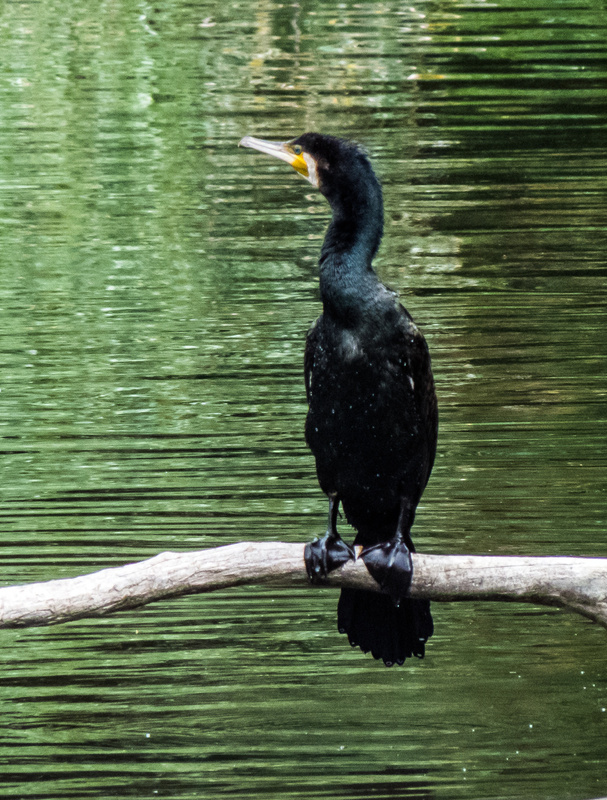 Cormorants have to frequently dry out their wings, because their feathers are not completely waterproof like some other water birds. It sounds like that would be a problem, but it actually is an advantage for them. Their waterlogged feathers help them to dive deeper, kind of like a weight belt that a deep-sea diver might wear. It turns out that this is a Great Cormorant (Phalacrocorax carbo), a larger and somewhat darker cousin of the Double-crested Cormorants that live in our area.